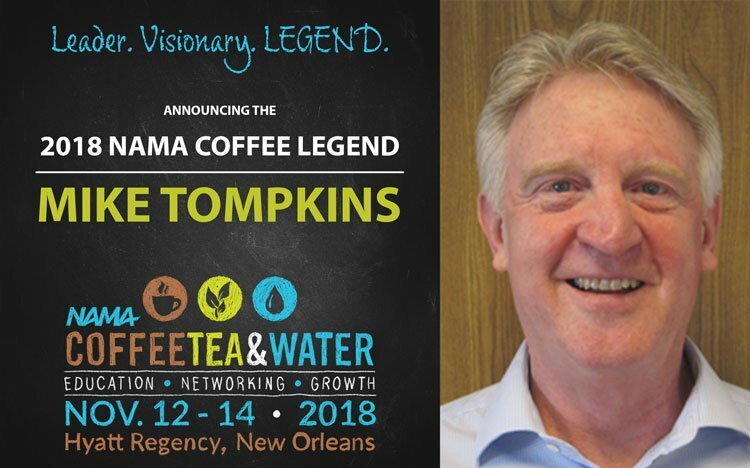 On Monday, November 12th at NAMA’s Coffee, Tea and Water Show, Mike Tompkins, Consultant at Coffee Products Associates, will be recognized for his contributions to the coffee service industry. 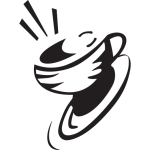 Mike Tompkins, renowned expert in the Coffee Services industry, started his own consulting firm in 1995. He has long been an advocate for and participant in the development and training of quality standards for coffee and tea beverages for the industry. Mike spearheaded the development of NAMA’s Coffee 101 and Quality Coffee Certificate programs, and currently sits on NAMA’s Coffee Services Committee. Additionally, he serves on the working group developing the brand new iteration of Coffee 101, The Essence of Coffee. Mike has been a familiar face at NAMA’s trade shows, developing and presenting educational material around all aspects of our favorite beverage, coffee. We are honored to present Mike with NAMA’s Coffee Legend Award. Please join us in celebrating Mike’s achievements as we honor him at the 2018 Coffee, Tea and Water Show. For more information, visit www.coffeeteaandwater.org.